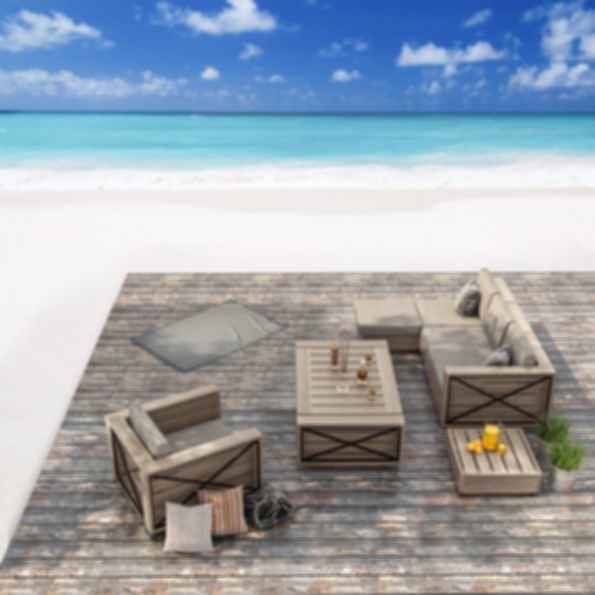 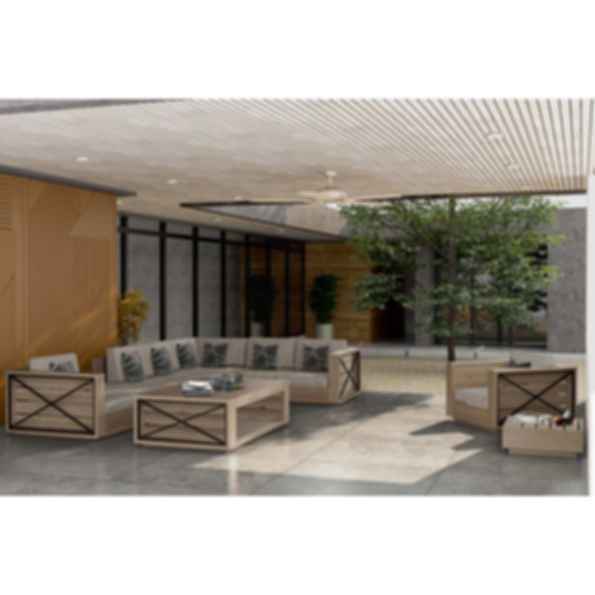 Altarra coffee table features a dramatic and refined hues that sets it apart, giving it a unique and beautiful design that fits with any kind of outdoor sofa seating. 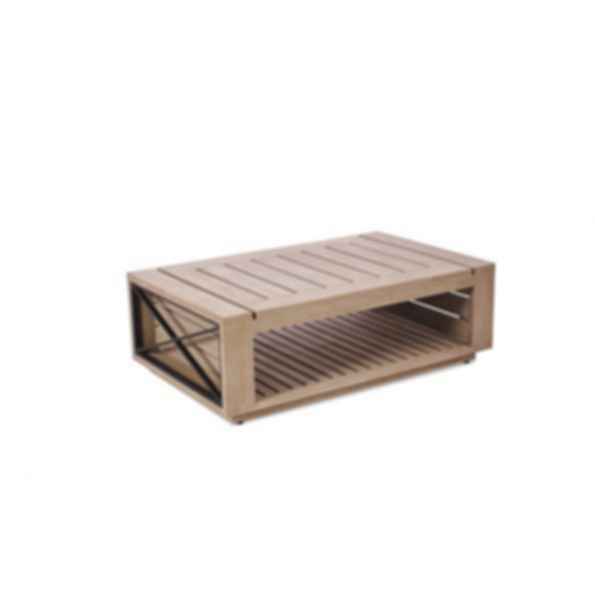 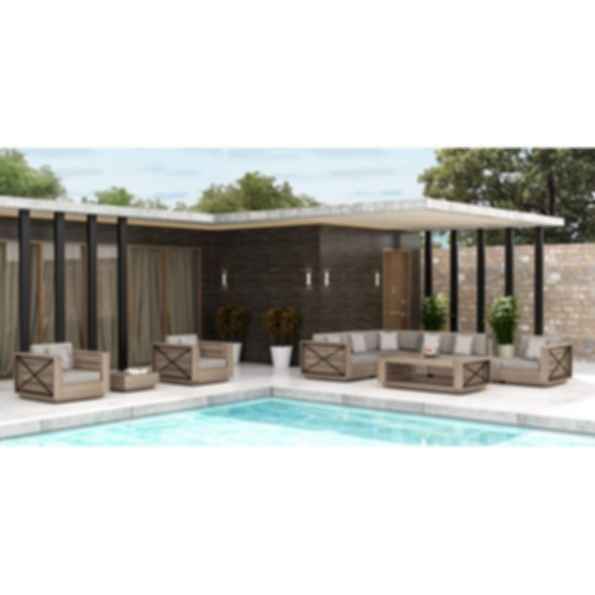 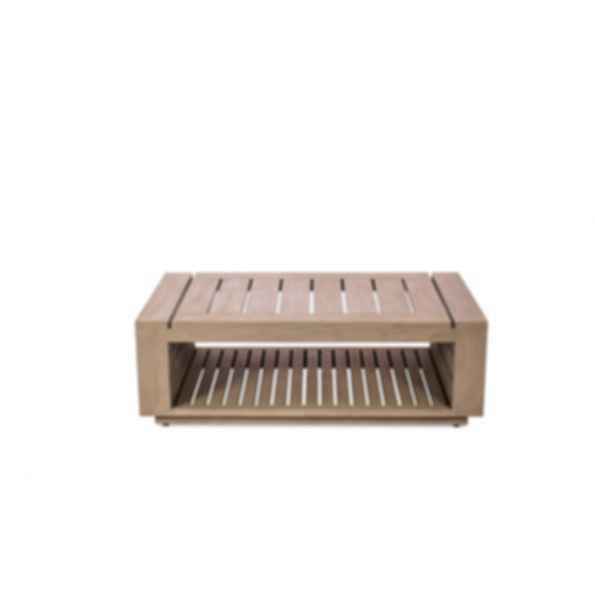 It is made from premium weathered teak and powder coated aluminum. 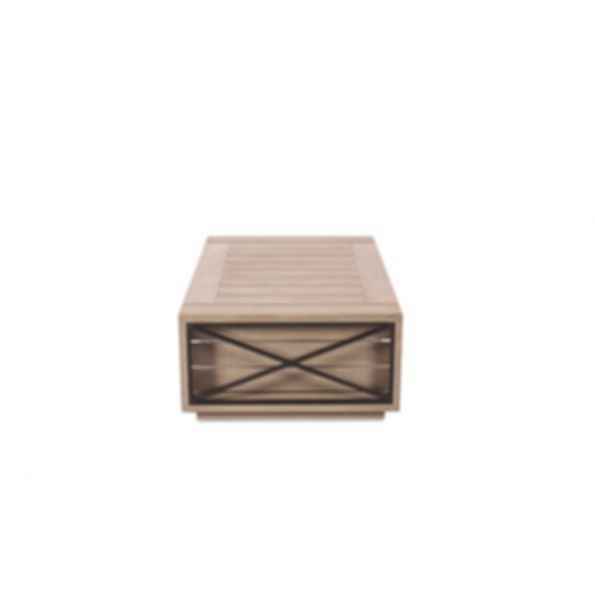 The coffee table is exclusively designed for outdoor use by multiprocess PU layers in the finishing touch that protects from extreme weather.